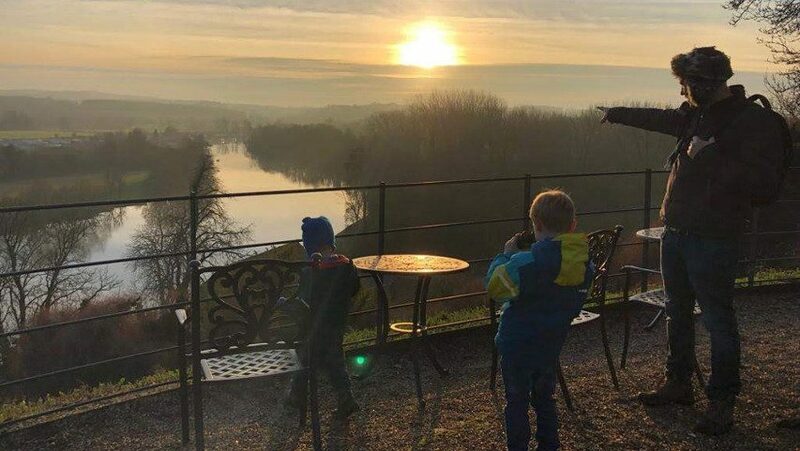 During a recent visit to Danesfield House Hotel and Spa we discovered so many things we hadn’t realised including how it is a place welcoming of local families. I wanted to tell you guys more about it, as it’s right on our doorstep and has lots to offer. Over the next few months, I’m going to do a series telling you all about the best bits of Danesfield House for families and mums. I also asked the Marketing Manager if I could have some exclusive offers for the MarlowMums.com audience – so you can expect to see a great offer with each article to come. PLUS your chance to WIN AN AMAZING OVERNIGHT STAY AND SPA BREAK! My husband and I were on our way for a walk with our two boys (6 and 3 yrs) the other day in Hambledon. Realising we were short on time we decided to chance a look around the gardens at Danesfield House instead. I wasn’t exactly sure what to expect, but it was a real surprise! We had a lovely time soaking in the gorgeous views and playing in the acres of grounds and lawns. We finished, muddy boots and all, inside the house sipping on hot chocolates. It wasn’t a place I’d have planned on taking the kids but it turned into a great afternoon. 1. You are welcome to explore the 65 acres of grounds and formal gardens with your family and stop to refuel in the bar or restaurant. 2. Non-members can book to use the pool with their children (aged 5+) between the hours of 2-5pm weekdays and 8-9am at weekends. 3. They run special events during the year for families e.g. Easter egg hunts and fireworks night. 4. Non-members are welcome to book treatments and before or after your treatment you can unwind in the Relaxation Sanctuary. You can also just pop in for a coffee or juice at the spa juice bar. 5. They have a variety of rooms for private hire, many linking out to the gorgeous terrace/garden area with beautiful views – perfect for private parties. I’ll let you know when the next article comes out via my monthly newsletter and social media. Make sure you are signed up and ‘like’ the MarlowMums.com Facebook page and Instagram feed. Until then… the Easter Bunny will be making a special appearance at Danesfield House, see ‘Inspiration for Easter’ below and the first special offer just for Marlow Mums. Your chance to win a luxurious overnight stay and Spa Break at Danesfield House!!! You need to do 2 things to enter the draw. 2. Take a picture of yourself at Danesfield House between now and the summer. Then post the pic on the Marlow Mums facebook page on the “Down at Danesfield” post as a comment. Let’s see how creative you can get! There will be special prizes for the most creative. 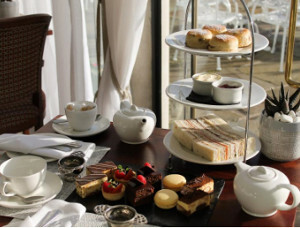 Enjoy a selection of finger sandwiches, scones with strawberry jam and Cornish clotted cream, homemade afternoon tea cakes, served with your choice of Camellia’s Tea. Arrive from 2:30pm and join us on the Easter Egg hunt with the Easter Bunny. Perfect for the whole family to enjoy as the Easter Bunny busies himself laying a trail of fabulous chocolate eggs ready to be discovered in the Topiary gardens at Danesfield House. 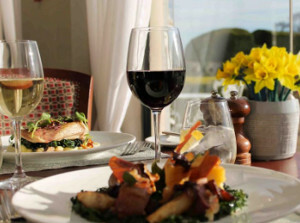 Choose from delicious dishes prepared by Executive Chef Billy Reid before the Easter Bunny calls all children, big and small, to search high and low for chocolate goodies.